The hot and relatively dry weather continued and brought on flowering very quickly. The 80% flowering sprays we applied were Switch in the conventional blocks and BotryZen in the organic blocks. Wire lifting and tucking has been completed across all blocks. High temperatures and periods of strong gusty winds have meant that all blocks are being continually irrigated. There are no obvious visual differences in leaf condition and general canopy condition between organic and conventional treatments. 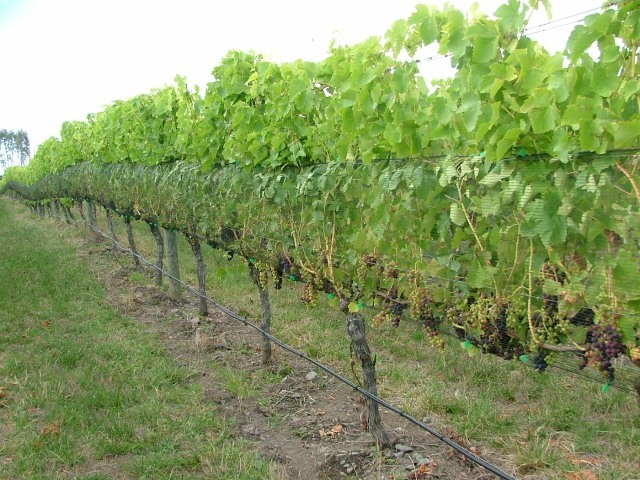 Weed control is quite erratic in the organic treatments, with a number of clumps building up around the base of some vines in the organic blocks, so we will have to address this at a later date. Fruit thinning of clumps and weak shoots has been completed. 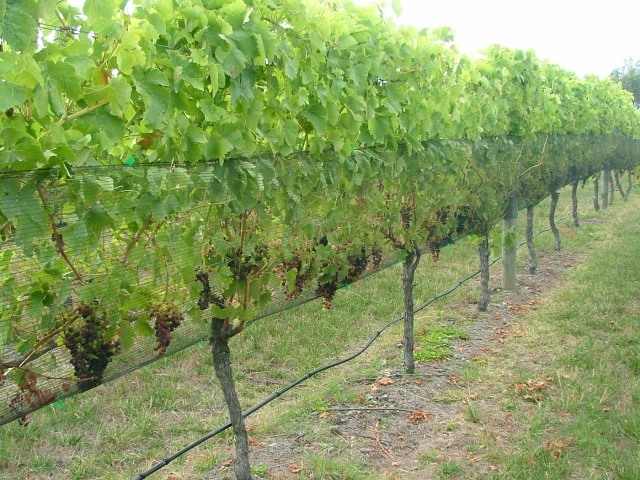 Powdery mildew pressure has been extreme in Hawkes Bay this season, so we have had to increase our sulphur rate to 5kg per hectare in both blocks. We have leaf plucked with the collard and trimmed after fruit set to open up the bunchline and applied a Clarity in the organic blocks and a Systhane in the conventional blocks. A second mechanical leaf pluck and trim has been carried out and a pre-bunch closure Curalan (Gem) spray and second Systhane have been applied in the conventional blocks. A potassium bicarbonate (3kg/ha) and sulphur (5kg/ha) have been applied in the organic blocks. Veraison has begun early and is at a similar stage in both the organic and conventional blocks.